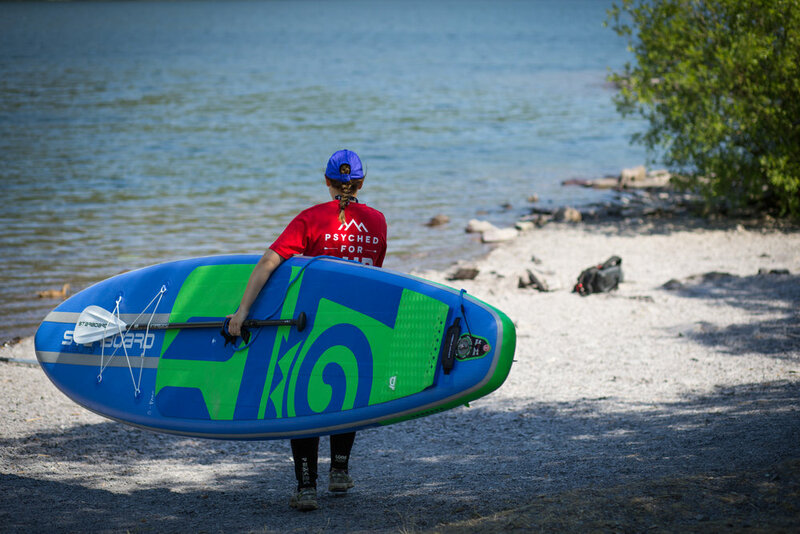 Stand up paddleboarding (SUP) is the fastest growing water sport, as it is so accessible and such a fun activity to do. Its a wonderful way to enjoy the beautiful scenery of Snowdonia from the water. Join us for a 2hr Beginner SUP in North Wales to learn the basics from kneeling and to finally stand up paddle boarding. 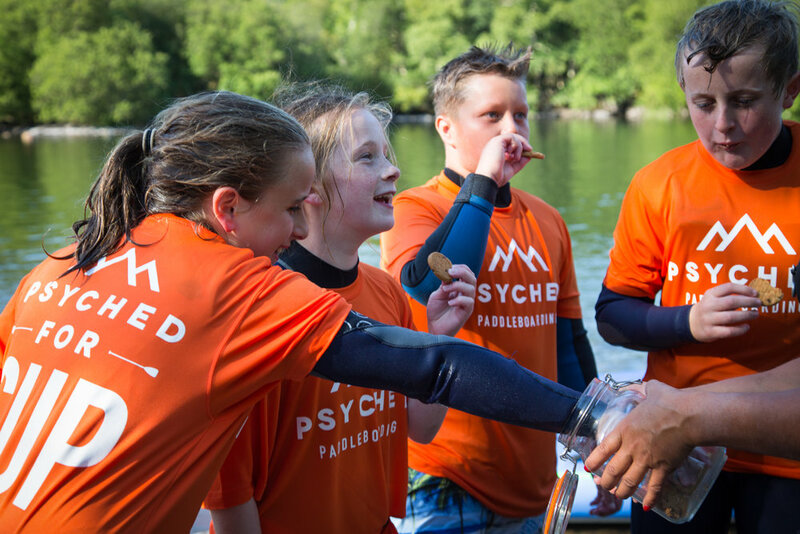 Once you have completed this session, you are able to join us on other exciting activities such as Night Paddleboarding, Guided Touring around the stunning coastline of North Wales, estuaries or lakes in Snowdonia. For people who are keen to develop paddling skills from this session, it is recommended to book onto a Personalised Paddling session with Sian. This is such a great social sport, ideal activity for friends and families to try something different together. Or a perfect activity to do on your own. You will be truly hooked after your session with us and will have long lasting memories. Private groups allow us to tailor the session around you and your group needs, great for a special occasion and families. We require a min. number of 4 participants for the session to run. If you are booked onto an open group and we are below the required numbers, we can offer to reschedule you for the next available open group session or move you to a private booking or you could make up the difference of an open group price of 4 people. We will try our best to notify you a day prior to advise, if unsure please contact the team here. For out of season mid week sessions bookings, it is advised to book as an Exclusive Booking. Yes, we accept group bookings. Please do get in touch to discuss, feel free to contact us. Llyn Padarn is a perfect place for beginners as it is sheltered. It is all about your safety and having a good time. 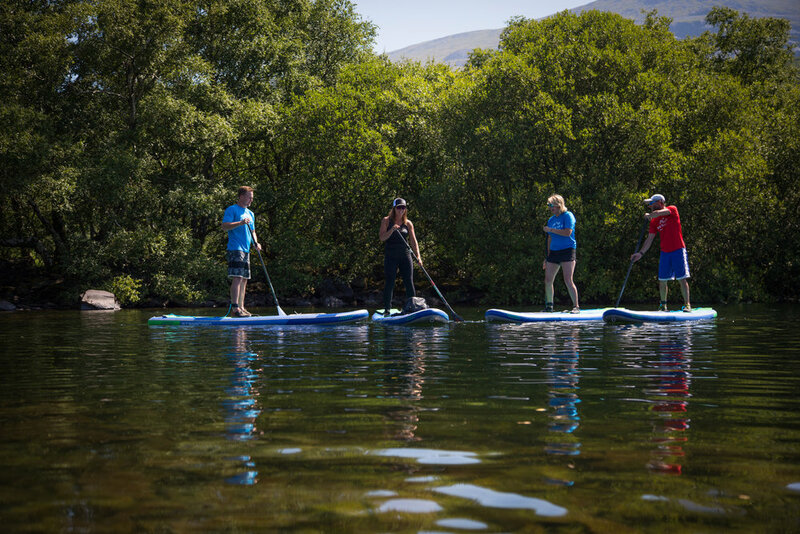 Once you've mastered the basics you can join on a mini SUP safari which would be on the sea, along an estuary or around other stunning lakes in Snowdonia. Venue address is Llyn Padarn, Y Glyn, Llanberis, LL55 4EL. There is parking and public toilets nearby. If you require accommodation, please discuss your needs with us, we will be only too happy to help with arranging accommodation for you. The accommodation options include cottages, luxury hotels, hostels or quaint inns, and campsites, so there’s something to suit your needs and your budget.